Looking for new clothes for the kids? 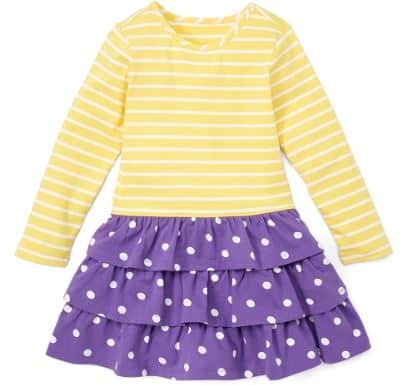 If you love Hanna Andersson clothes, you can grab some adorable styles for girls and boys today. New to Zulily? First, sign up here, and then you can start shopping! I think this Love Ruffles Dress is too cute for words, and you can get it in several colors for just $23.99. 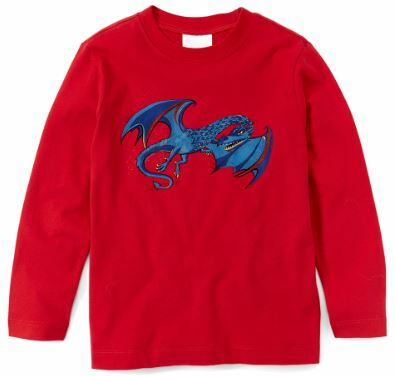 Boys will love this Red Dragon Supersoft Jersey Art Tee, which is perfect for fall and on sale for $19.99. Need or want a new pair of sunglasses or eyeglasses? 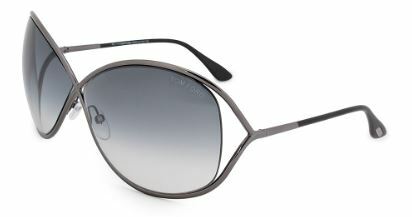 If Tom Ford is among your favorite designers, you can get some great deals on a variety of styles. If you like cat-eye styles, you’ll love these Tortoise Translucent Cat-Eye Eyeglasses. Get these for $149.99 (reg. $350). 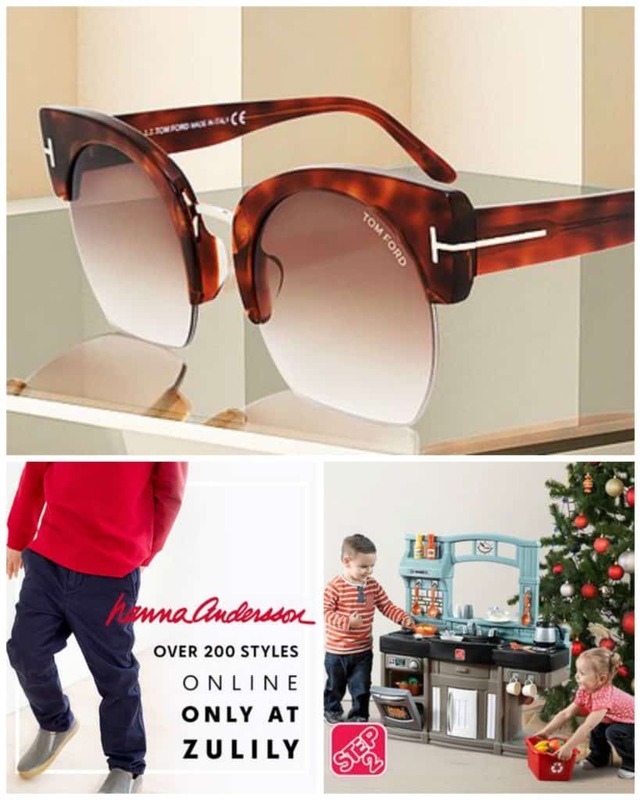 The Miranda Sunglasses are my favorites, and you can get these in different styles for $176.99 (reg. $415). And, the the Step2 sale is the perfect time to grab holiday gifts for the kids. 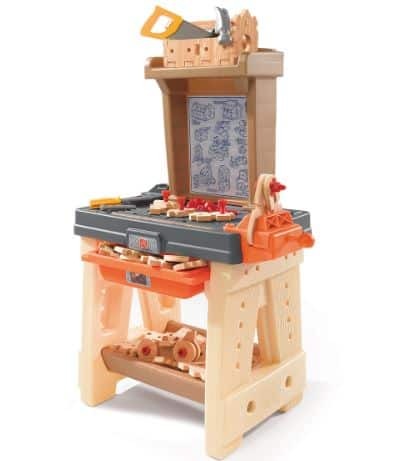 Budding builders will have fun “working” on projects with the Real Projects Workshop Set. This is on sale for $57.99. 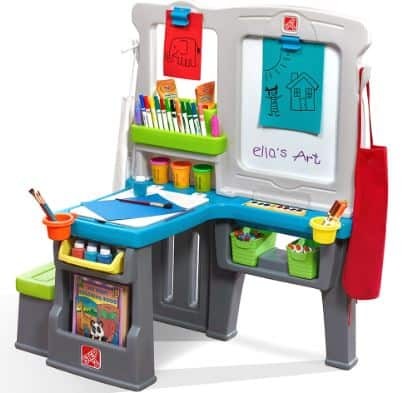 Kids can create masterpieces by using this Great Creations Art Center. Get this for $86.99. How many of you love these super cute and trendy Teardrop Earrings?? If you missed the last sale or want to grab some new ones for your collection, we have another sale on them, and this one is even cheaper – only $5.99, down from $13. These earrings are the perfect versatile accessory because you can wear them with your favorite jeans and tee combo or pair them with a cute dress for a less casual look. I love any accessory that I can wear with different looks. And, these also make a great gift idea that any woman in your life would love! Witness the top pins on Pinterest for the month of September 2018. 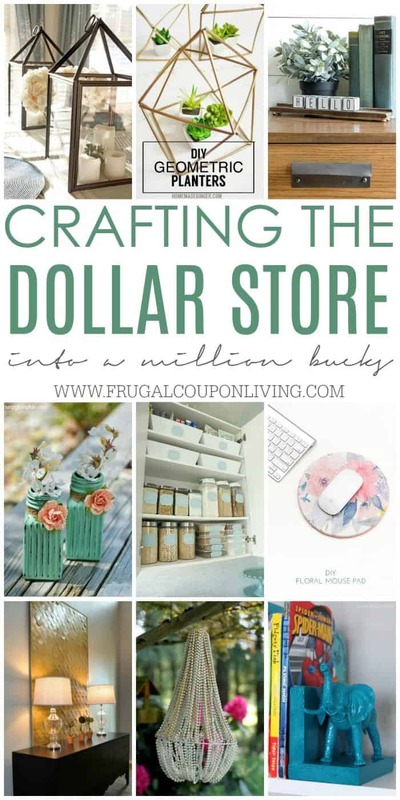 Make sure you are following Frugal Coupon Living on Pinterest! You guys, I can’t believe we are in the first few days of October. Last year at this time, I was in my second trimester of pregnancy with the twins and assigned bed rest shortly before Halloween. In fact, I am writing this post on my bed and when I sat down to write, I had terrible PTSD. Nothing major but I immediately had déjà vu of my eight weeks of bed rest trying to keep those boys are the inside. The fall light must have been just right and triggered my “been here” moment! Speaking of repeating things, Pinterest also seems to know we are close to Elf on the Shelf Season where I list ideas every day in November and December. Every time I open the Pinterest home page, it shows me all these Elf on the Shelf Ideas… don’t you freight. I am already photographing. So many cute ideas to come. If you want to receive Elf on the Shelf ideas every day these coming months, be sure to sign up for our FREE Elf on the Shelf Twister Printable below. Just enter your email address! My entering your email below, get this Elf Twister Board Mailed to your inbox! Take a look at some of our top pins for September 2018. I encourage you to pin them for later to your favorite Pinterest boards and make sure you are following Frugal Coupon Living on Pinterest! 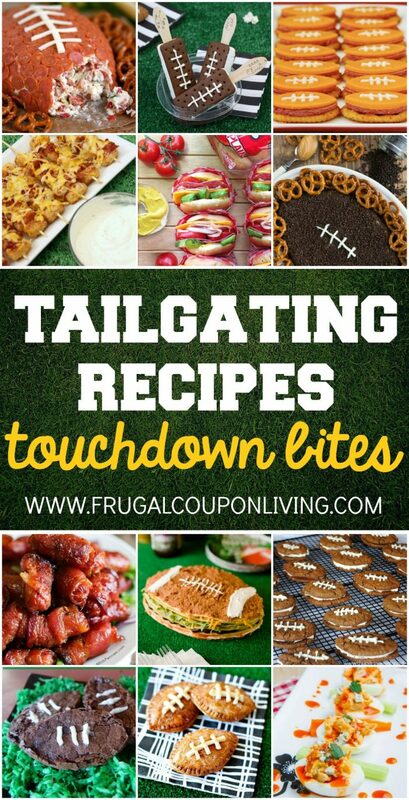 Tailgating Recipes and Football Party Ideas. Get the full list of recipes Here. How is your favorite football team doing this season. We are a house divided. I am a former Garnet and Gold girl and FSU graduate and my husband is a die hard, multi generation Auburn fan. While is team is holding in there, my team can’t hang on to the ball this season. These list of recipes can’t make your team win, but they will at least make your bellies happy! Pin this Idea to Pinterest. 31+ Kid’s Halloween Food Crafts. Get the full list of recipe Here. Does anyone else’s kids come home starving. It doesn’t matter how much lunch and snack I place in their backpack, at the end of the day my kids are famished. This post was written to come up with creative after school snacks for my kids. In my search efforts, you won too because the internet loves this post every Halloween. Maybe it isn’t an after school snack for your kids but rather ideas for your home Halloween party or for an October Halloween Classroom Party. Enjoy! Pin this Idea to Pinterest. 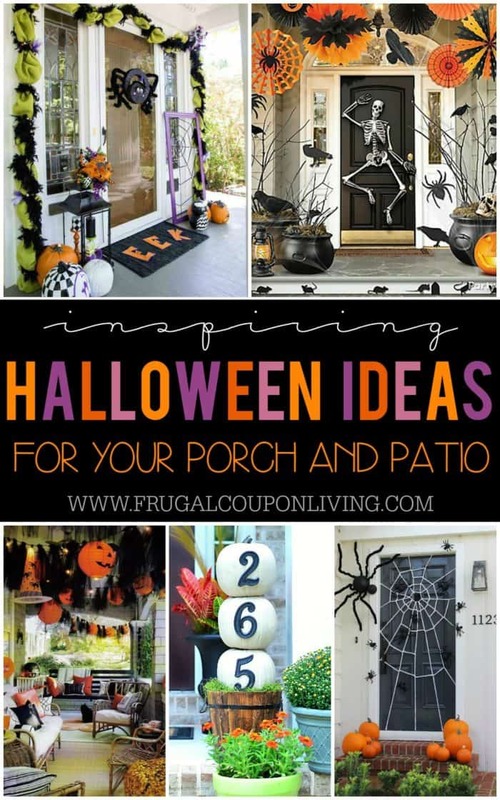 Boo-tiful Porch Halloween Ideas and Patio Inspiration. Get the list of porch ideas Here. So this post was written because i long for a porch. Like I said above, I live in one of the most expensive areas of the country and land is ridiculous. That being said, I have the smallest 4×4 foot porch before you enter our front door. I dream of the day I can decorate a front porch for Halloween. This post was for all of you, because it definitely wasn’t written for me… yet! Also take a look at our other trending posts for Halloween Decor – Fall Farmhouse Halloween Decor and Halloween Mantles and Tablescapes. Pin this Idea to Pinterest. Pillsbury Crescent Roll Recipes. Get the full list of recipes Here. Not sure why this post was resurrected from the internet grave but I can only assume it is because the temperatures are fooling off… expect for you Florida and Texas! There are some creative recipes made with Pillsbury Crescent Rolls. If you are baking for the holiday season, look at a few of our favorite crescent roll recipes on Frugal Coupon Living – Halloween Jalapeno Popper Mummies, Campfire Hot Dog Recipeand Chicken Pot Pie Crescent Roll Ring. Pin this Idea to Pinterest. How many of you love a bowl of oatmeal for breakfast? 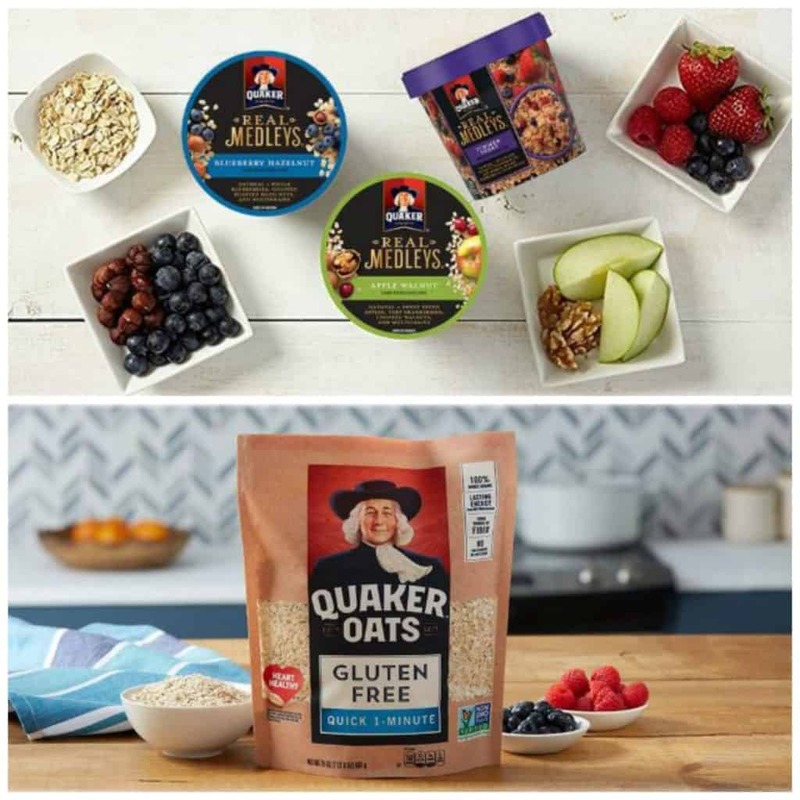 We have some great Oatmeal Favorites on sale today for up to 25% off! 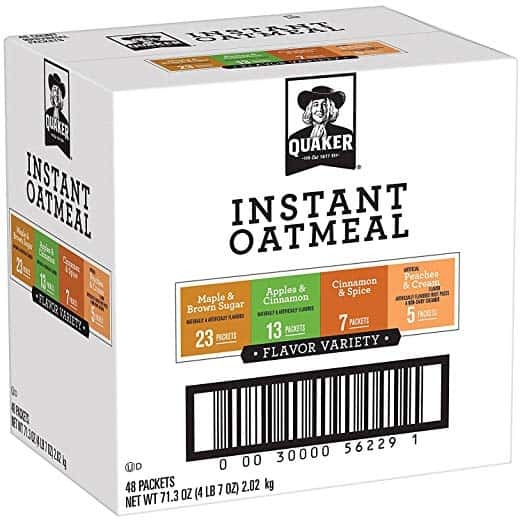 This 48-count Quaker Instant Oatmeal Variety Pack includes four flavors – Maple and Brown Sugar, Apples and Cinnamon, Cinnamon and Spice and Peaches and Cream – and is on sale for $8.63. 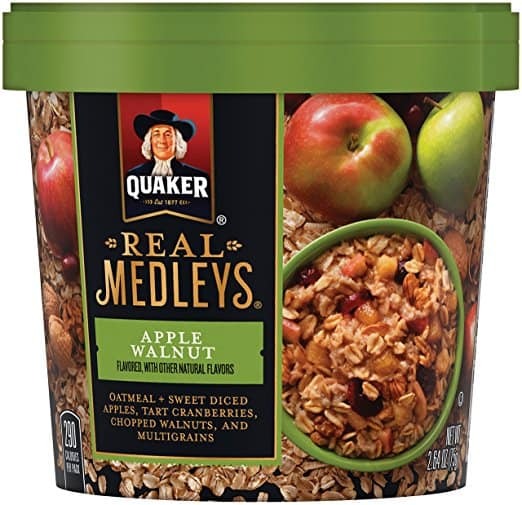 If you like Quaker Real Medleys, you can get this Quaker Real Medleys Oatmeal 12-Cup Variety Pack for $12.82. This pack includes three flavors – Apple Walnut, Summer Berry and Blueberry Hazelnut. 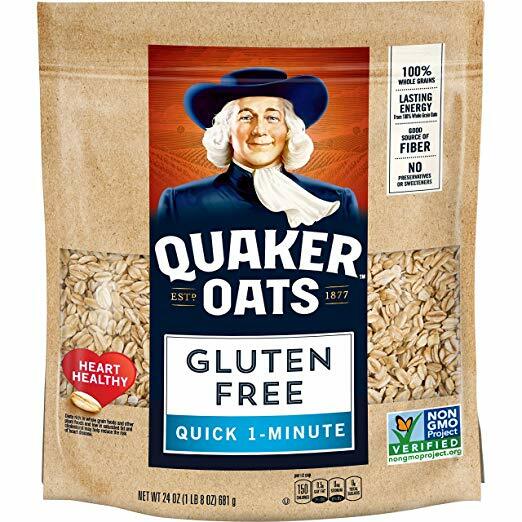 And, if you or someone in your house eats gluten free, you can get this 4-pouch pack of Quaker Gluten Free, Quick Cook Oatmeal for $14.99. Grab this highly rated Pumpkin Bowl Drink Holder before it sells out- there’s not many of them left at the discounted price! 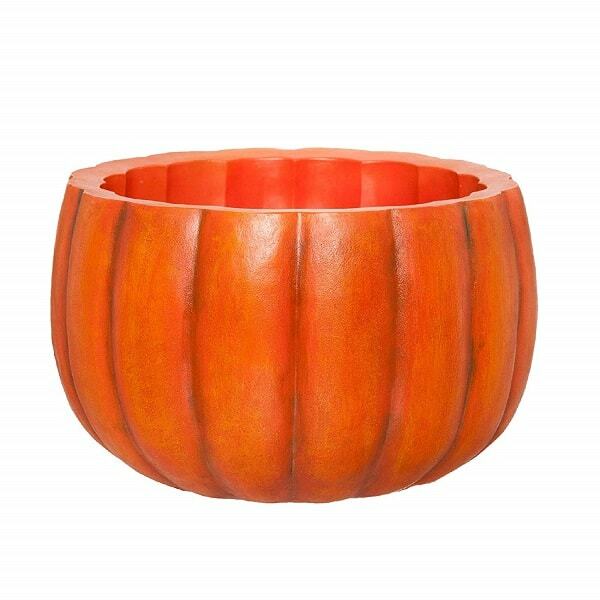 Use this large resin pumpkin bowl to hold your favorite houseplants or as an ice bucket or candy bowl during your fall festivities. It’s coated with outdoor safe paints in the perfect shade of pumpkin orange, and it’s easy to wash with soap and water! If you like to wear scarves when the weather is cool, you can personalize them with these fabulous Personalized Scarf Cuffs for just $6.99, down from $20. These cuff are trending this year, and they add a little something extra to your look. These come in neutral colors that will match anything and brighter colors to add a pop to what you’re wearing. I love anything and everything monogrammed, so I totally need these in my life especially since you can wear it on your scarf and also as a bracelet!